Answer that question. 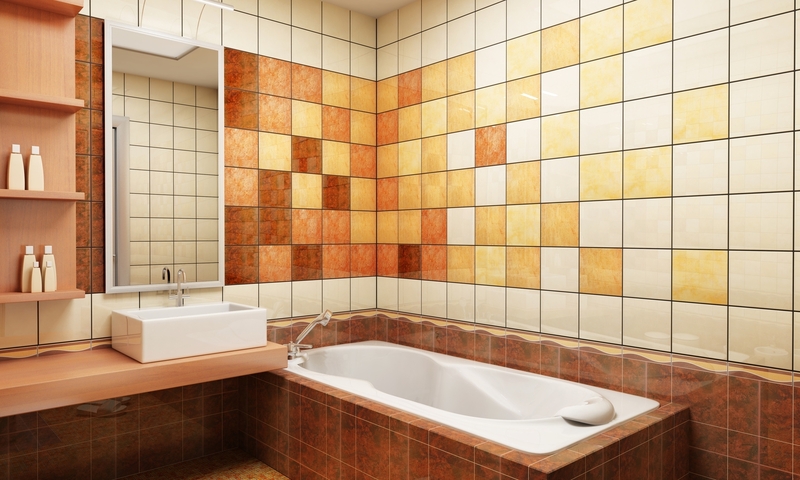 Then ask, “How can I use bathroom tile to generate that feeling?” Or, better yet, just take a look at the following five examples. 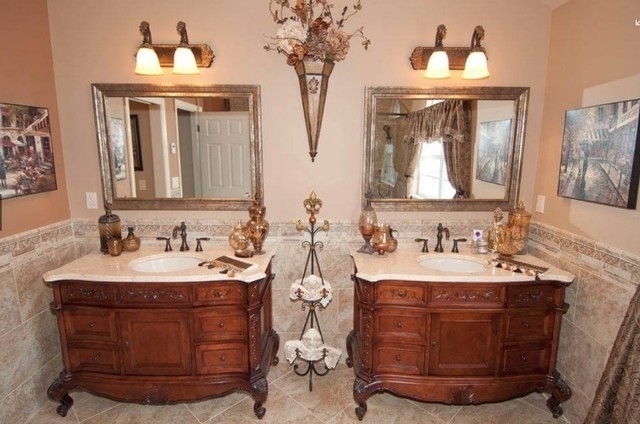 When you admit your proletarian neighbors into your bathroom, you want them to flounder in the luxury. Most people would lazily cover the wall with subway tiling and the floor with dirty white ceramic, but not you. You tile your countertops. Consider a straight-lay marble pattern with black grout lines, or maybe vinyl tile sheeting with an accent border. Just don’t overdo it. When in doubt, tile your countertop the same as the shower surround. You want a spa first and a bathroom second. Consider something Asian. 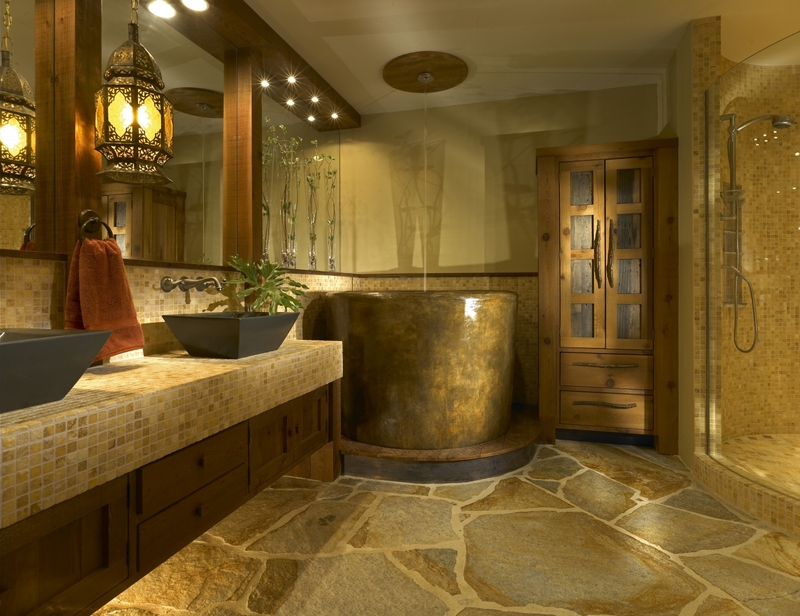 Cover the floor with bamboo-look engineered tiles or a pebble stone floor. 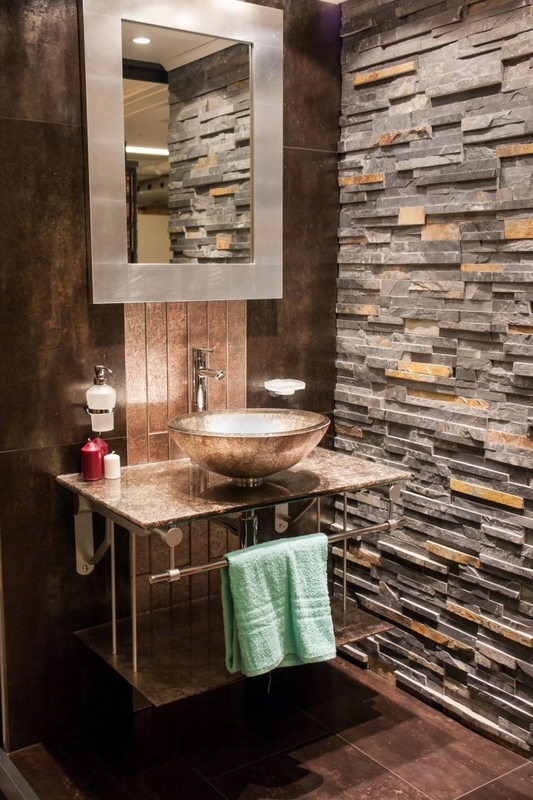 Dress up the wall with a roughhewn stone mosaic backsplash. To create a relaxed ambiance, choose earthy porcelain tiles and don’t use contrasting grout lines. For a baroque look, let the tile speak for itself. 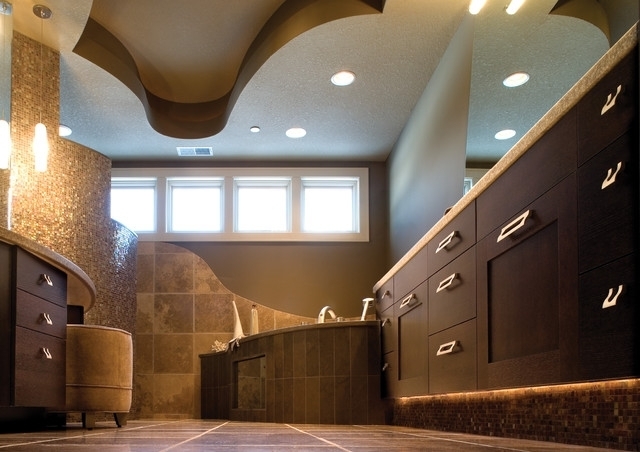 In the above bathroom, the designer used the same stone-look tile for three purposes: a diagonal-lay floor, a brickwork wall, and a half-wall molding. The sheer wealth of stone-look tile screams British accents and NYSE and Porcellian Club. Note that Victorian-era bathrooms do not lend themselves to floor-to-ceiling tiling. In your not-so-humble opinion, only suckers pay four-digit figures for tile. You can create beauty with nothing but pattern: pinwheel, herringbone, windmill, basket wave — you know them all. The possibilities are endless. But, as you know, the best place to let loose is the shower or bath enclosure. Going all Jackson Pollack on the floor could turn the bathroom into chaos rather than art. Which tile is your favorite? Comment below.